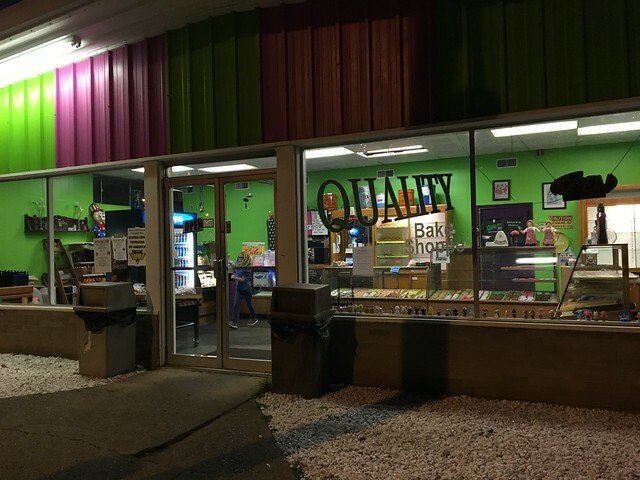 I have a friend (*ahem*Ann Ali Semenick*) who has sung the praises of Moundsville bakery Quality Bake Shoppe for quite some time. 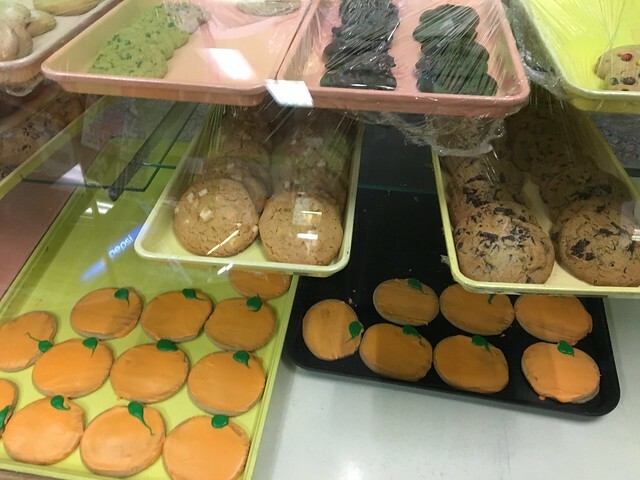 This bakery, which is a hometown favorite, is small but has quite a selection. 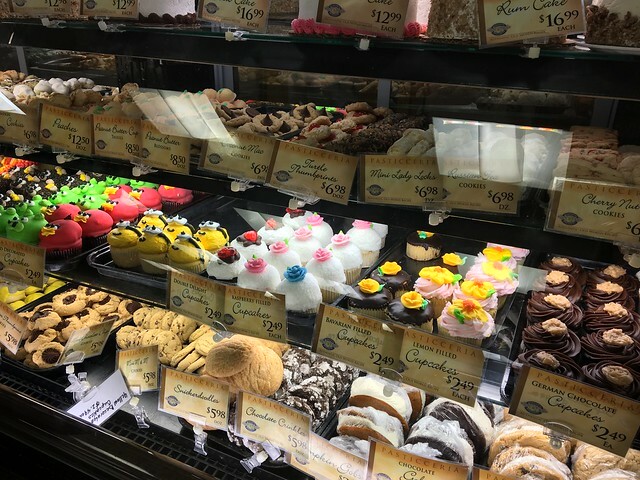 When I walked in - about an hour before closing time - they still had tons of donuts, cookies, cupcakes, pastries, Mad Dogs (which are long pastries that look like hot dogs filled with a cream), and their "World Famous" Butterscotch Seasonal Cookies. 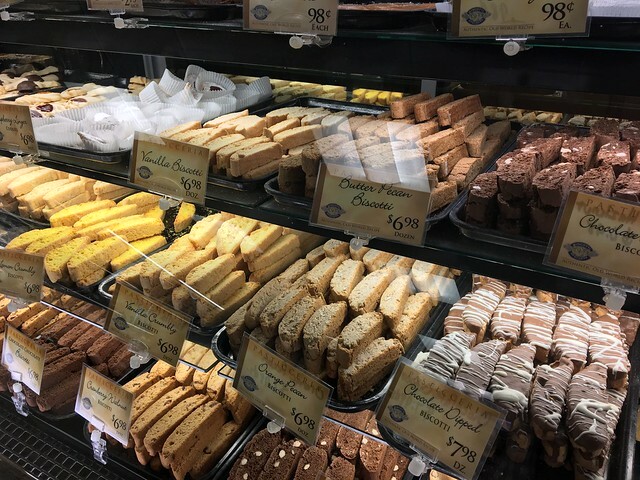 We are a "baked fresh daily" bakery. 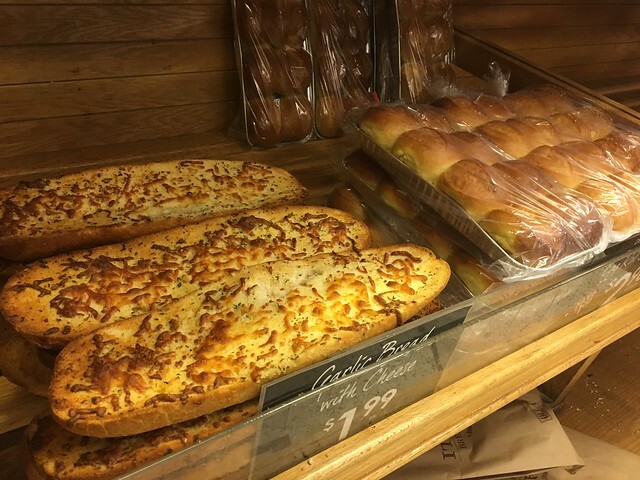 This means that everyday we are putting out fresh baked goods. 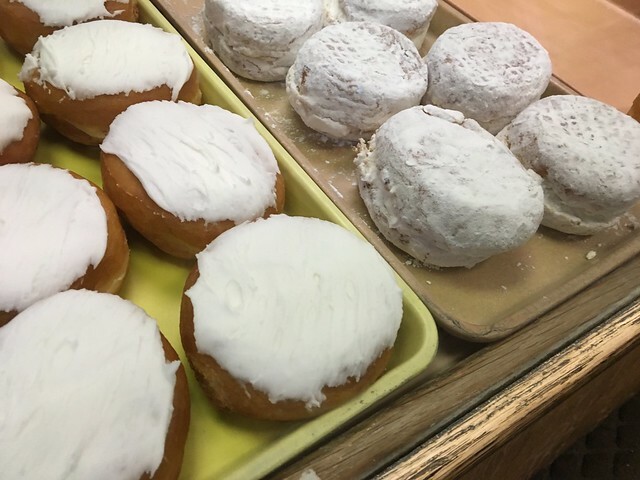 From our famous mad dogs, to our delicious glazed donuts we put out fresh donuts right up to closing! We also have some very talented cake decorators on staff who make all types of cakes, including wedding cakes and birthday cakes! 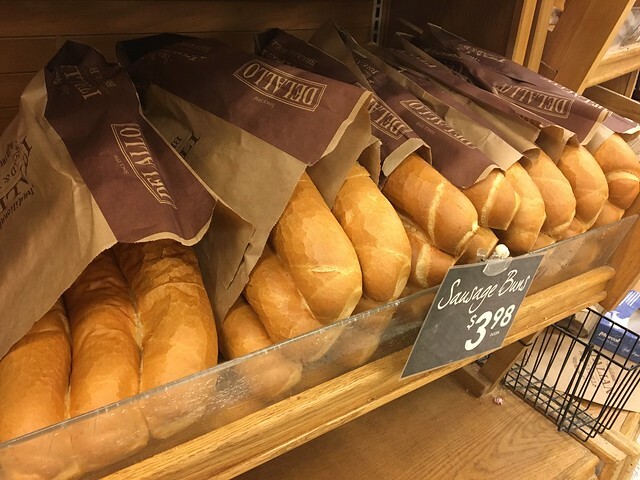 And don't forget our bread, pies, cookies, and other pastries! Call ahead to place orders! 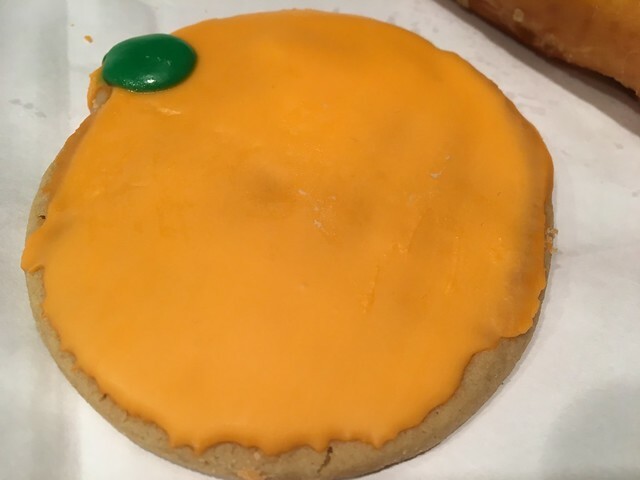 I had to get a butterscotch cookie, which was a pumpkin, and one of the Mad Dogs, which I got in peanut butter. The butterscotch cookies are the real deal. Think of a sugar cookie - only better. Super sweet an rich but with some nice salty characteristics, too. So good. 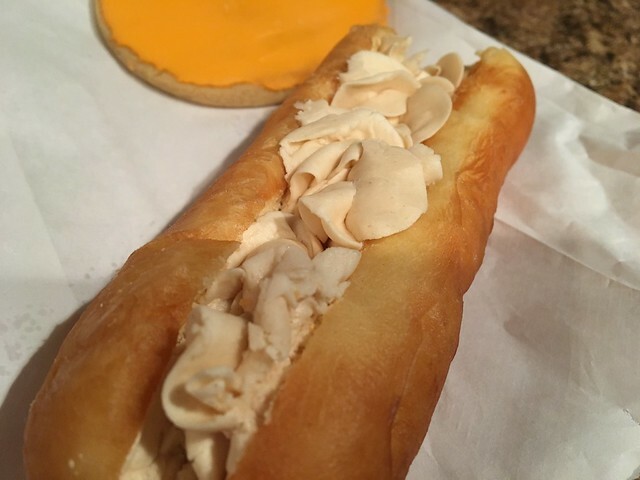 The Mad Dog is very similar to Spring Hill Pastry's hot dog. 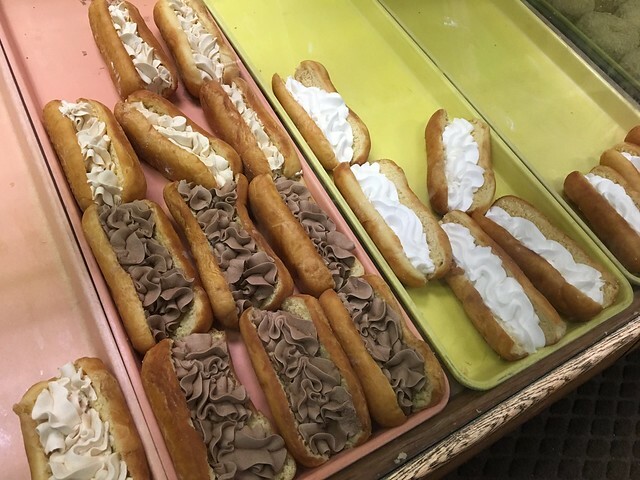 A long pastry split and filled with cream. The peanut butter one was quite good - a nice fluffy, chewy pastry with peanut buttery filling. Delish. This is quite the little bakery. Out-of-this-world pastries and goodies. I'll definitely be making another stop on my way through Moundsville in the future. So, as I slowly eat my way through the Northern Panhandle, I'm trying to hit all the key places. 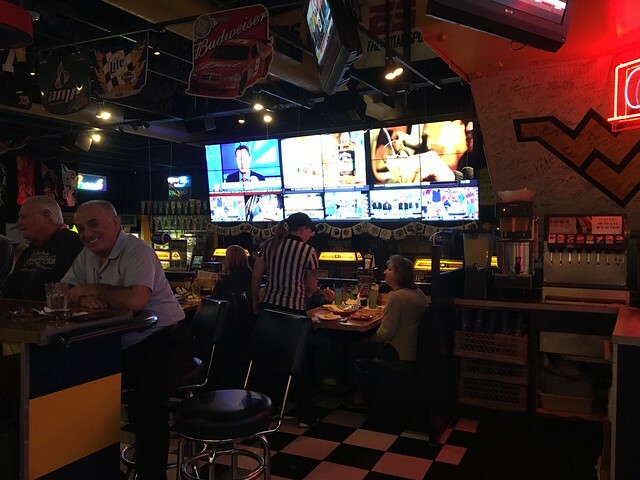 TJ's Sports Garden in Wheeling is one of them. 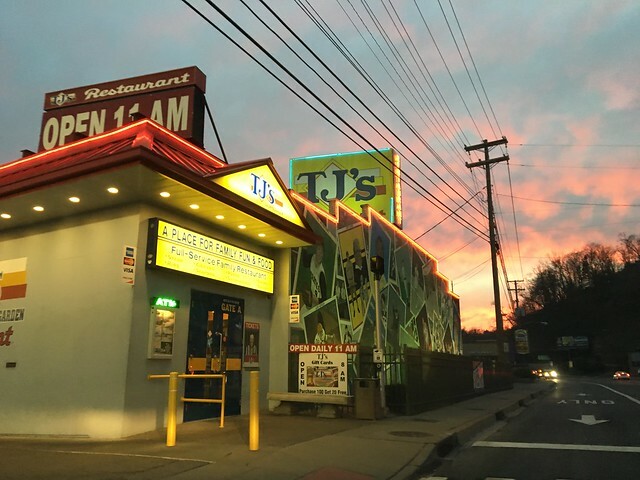 While not necessarily revered for its culinary offerings, the environment of TJ's is unmatched. 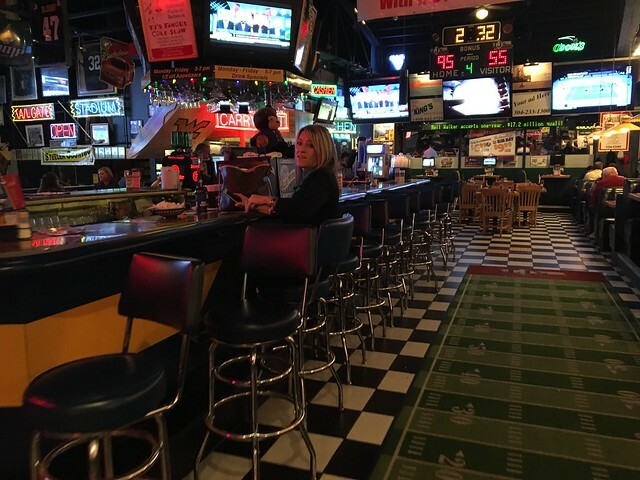 Calling it a "sports bar" would be putting it lightly - football field rugs, tons of giant TVs with every sport imaginable, neon beer lights, pool tables and scoreboard decorations. The menu has lots of fried appetizers, burgers, pasta, seafood, sandwiches, wraps and more. I had called in my order, so I actually went to toward the back counter to pick it up. It was quick and done actually much quicker than the time they quoted me. Even better. I got my box full of food and headed out back toward Morgantown. I got the TJ's Par Three Cheeseburgers, which are three cheeseburger sliders with an onion ring. They're topped with mayo, mustard, ketchup, and a pickle on a toasted bun. 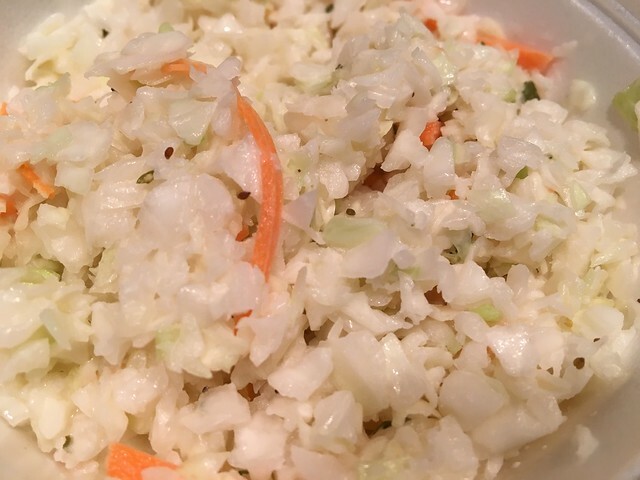 Sides of "TJ's famous cole slaw and fries." 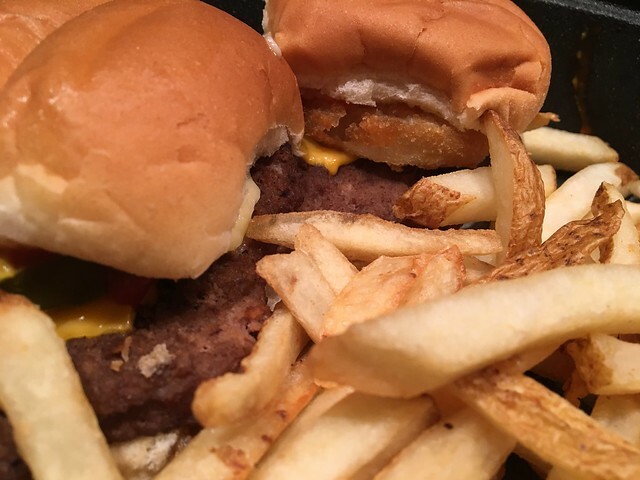 I'll tell you what, these sliders are pretty damn good. I wasn't expecting much, so maybe my bar was pretty low. But, they had big patties, and the abundance of condiments and seasoning of the beef made for a good flavor, and that onion ring added some nice texture. The fries were also not bad. Could be crisper. The biggest surprise, though, was the cole slaw. I didn't even know I liked cole slaw that much until I had it from here. Sweeter, more finely chopped. Really good. I'm glad I got this, too, because I almost subbed it out for something else. Overall, definitely a cool place to hang out and catch the game. And, I would say the food is pretty good, too, if you are wanting some good, standard burgers and fries fare. 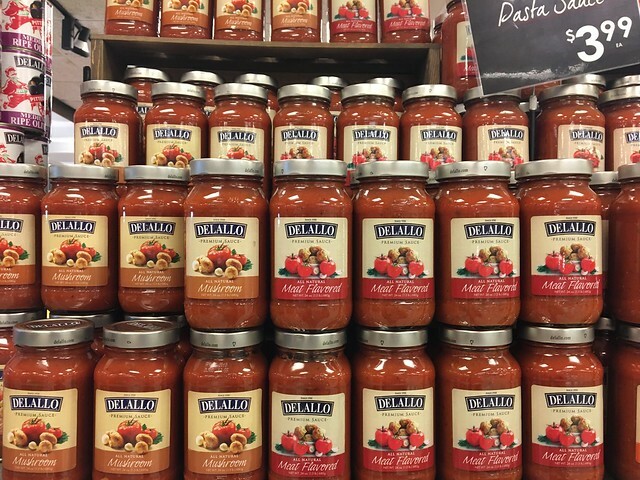 Have you seen the DeLallo branded Italian products in Kroger? 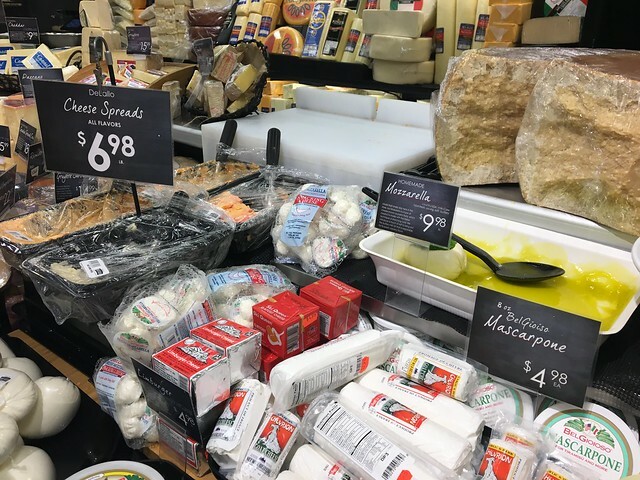 They essentially make up the specialty Italian section, and they often have an end cap devoted to pasta sauce, olives and other goodies. 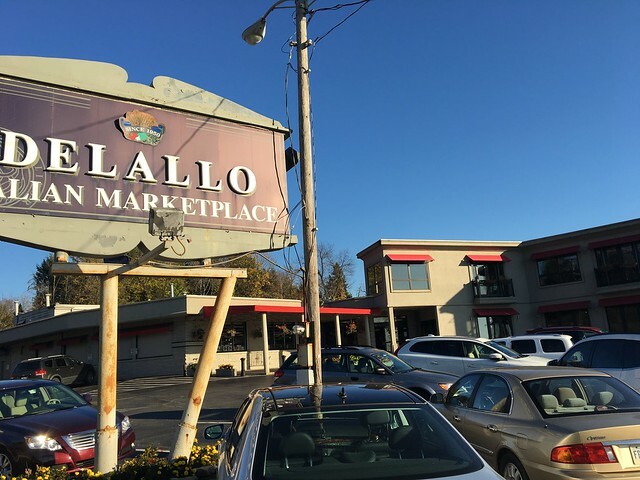 What I didn't know is that DeLallo is actually a family-owned marketplace in Jeannette, Pennsylvania, that has seen success in the wholesale and retail business. 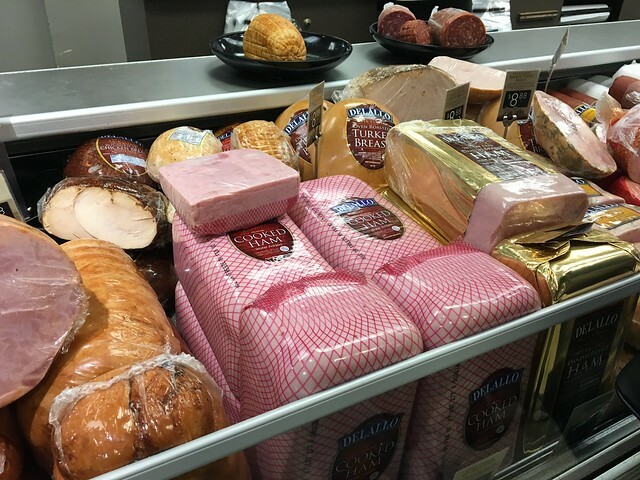 The George DeLallo Company was founded with the ideals of offering true authentic Italian foods with integrity and consistency. In the mid-1940s, George DeLallo began selling Italian grocery items door-to-door in the immigrant neighborhoods of Western Pennsylvania. In 1954, he and his wife Madeline established a grocery store in Jeannette, Pennsylvania, which specialized in authentic Italian foods. 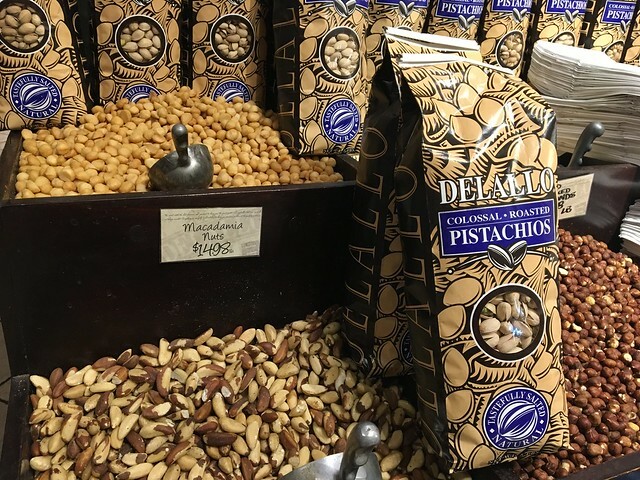 Soon after, they began to develop and sell traditional Italian products under the DeLallo name. As the years progressed, the retail and wholesale businesses grew. 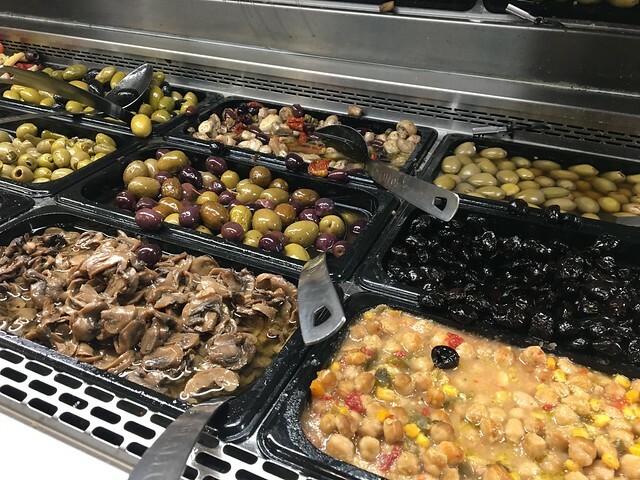 In the 1980s, DeLallo pioneered the olive and antipasti bar concept, which has become a staple of grocery stores around the U.S. and has revolutionized the American consumer’s experience of table olives and antipasti. 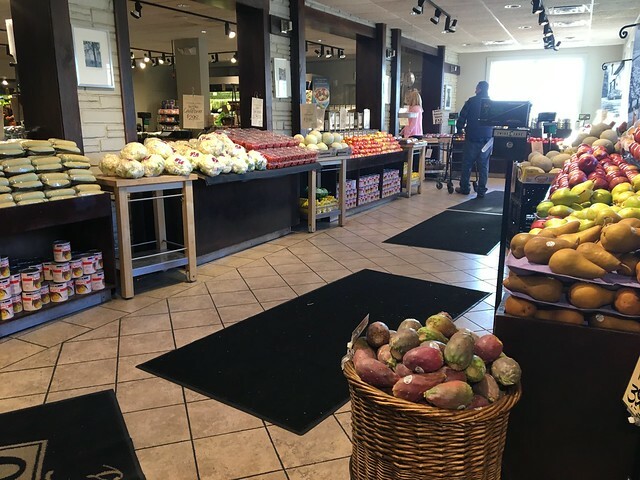 Today, DeLallo’s original Jeannette retail store remains a vibrant and beloved part of the community and DeLallo products are distributed throughout the country. 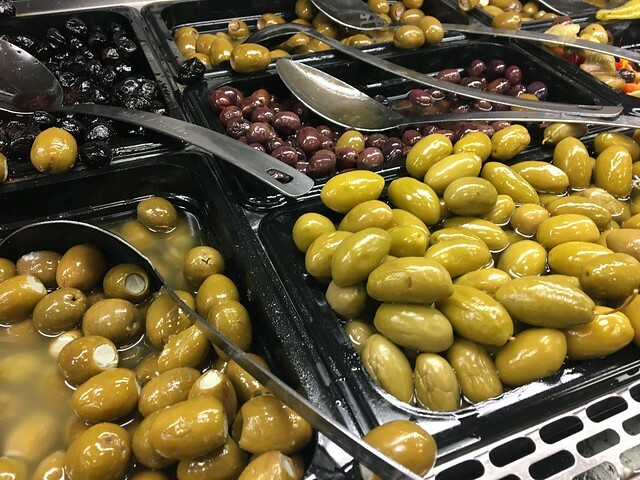 Whether it is found on traditional Italian grocery items such as olive oil, pasta, vinegars and tomatoes, or on our complete line of cured olives and antipasti, the DeLallo label guarantees consumers authenticity, integrity, and consistency. 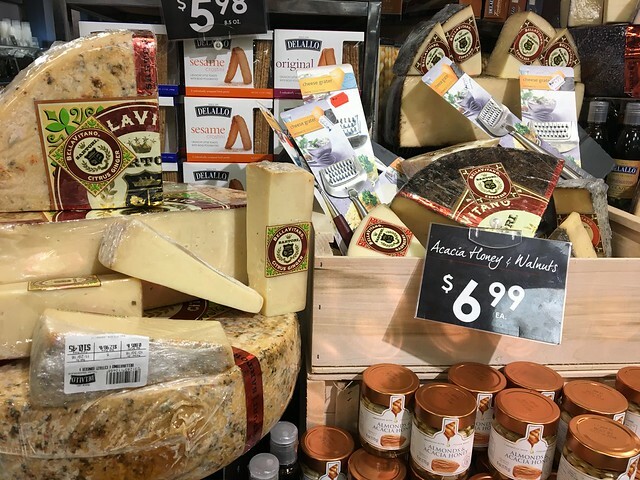 This small business that started just over the border in PA has secured a contract with Kroger, apparently, and it has brought these products to people who otherwise wouldn't know this -- like me. Once I discovered this is actually a small, not-too-far marketplace, I wanted to check it out. So, you will pass through two tolls likely, so be sure to have some extra cash on hand ... Once I arrived, there was a parking lot attendant directing me to go to the back parking lot. Walking in, there is immediate product. 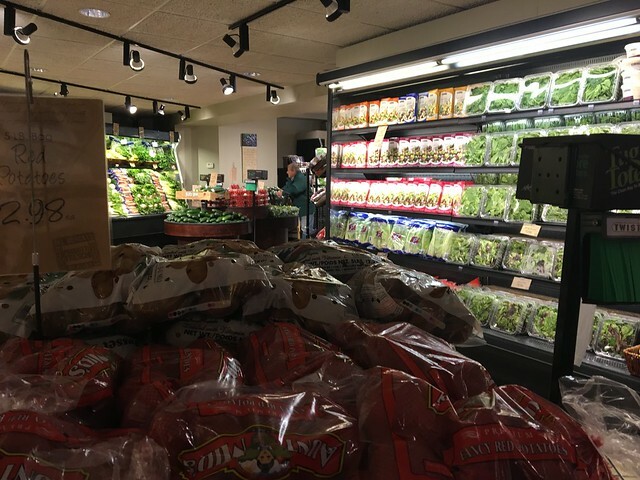 There is fresh produce and nuts. 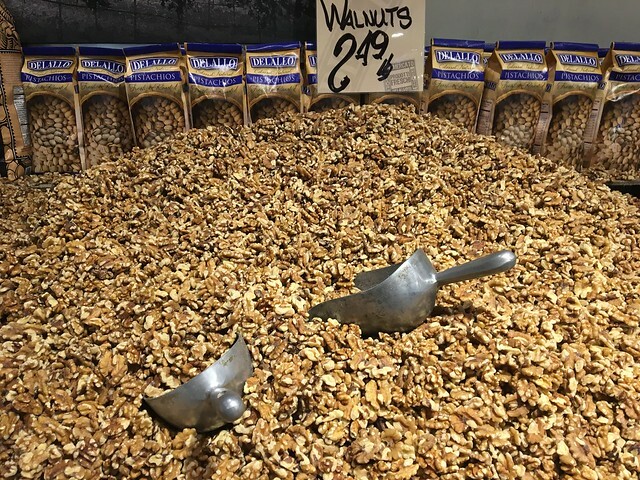 There's a little bit of everything you can think of - fruits, vegetables, fresh nuts that you can scoop by the pound. 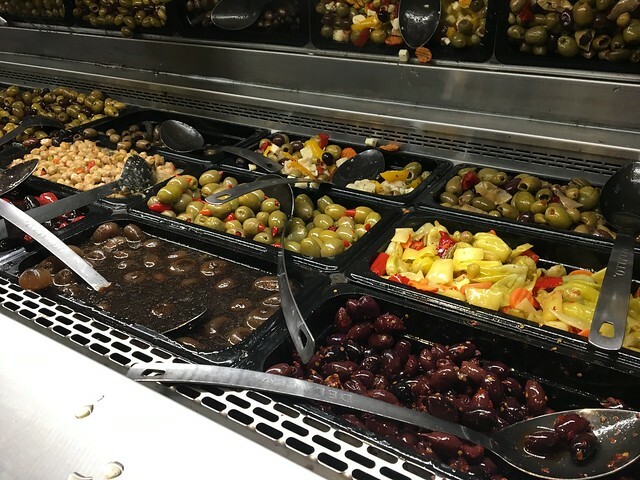 Moving around, there's a crazy long olive bar. 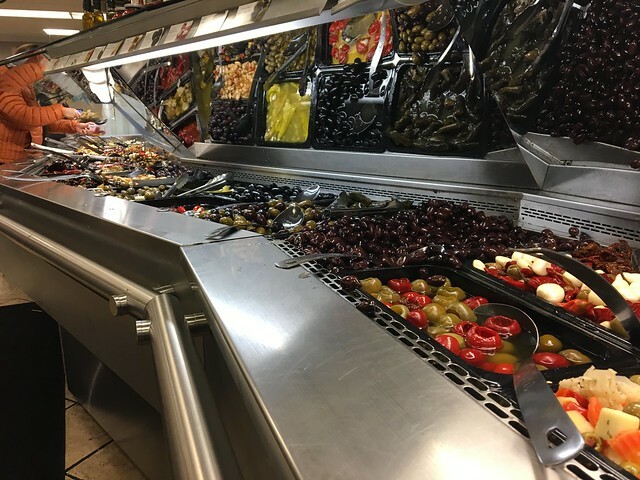 Olives with feta, blue cheese-stuffed olives, seasoned olives, plus a number of other things like roasted red peppers, bruschetta, stuffed grape leaves, artichokes. You name it. You pile it into a container and weigh it. 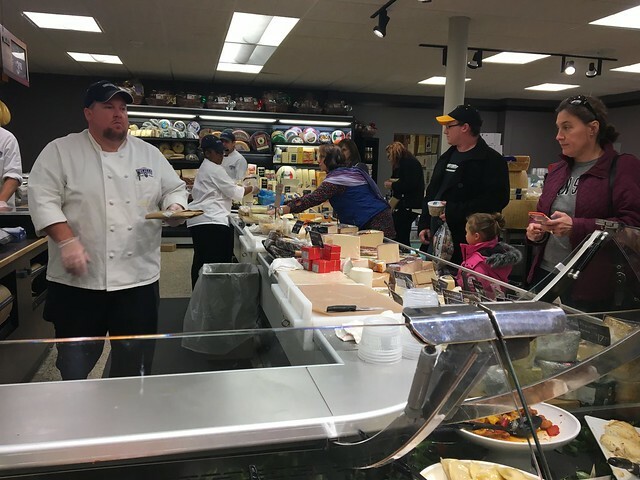 Moving around, there's the cheese station. This area was particularly busy , and you even have to pick a number to wait your turn in line. So, I could only see so many items. 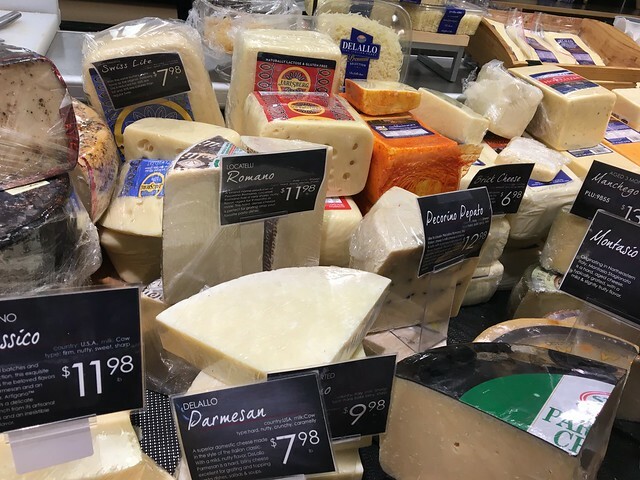 But, there was fresh mozzarella, cheese spreads, giant wheels of every cheese you can think of. Moving around, there is a section for prepared foods. 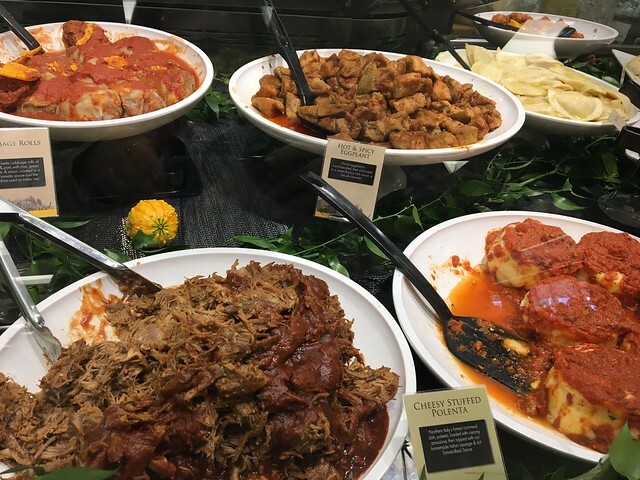 Like General Tso's Chicken or cheesy stuffed polenta or spinach and cheese stuffed mushrooms, lasagna, homestyle Italian meatballs, and cabbage rolls. 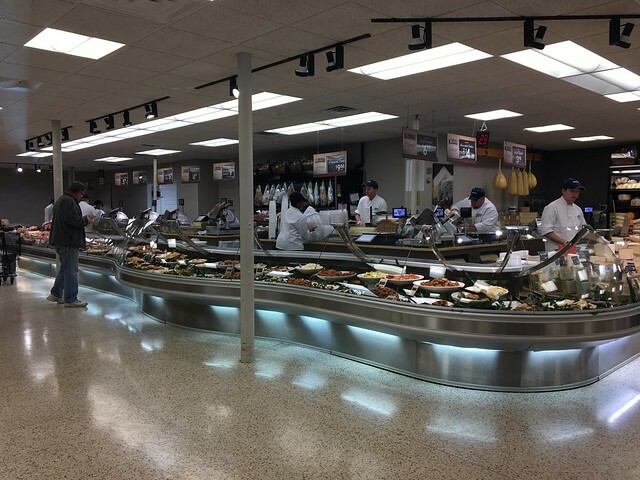 Then, there's the meat counter. Turkey, ham, whatever you could possibly imagine. Freshly baked bread lines the wall. I'm also told their pepperoni rolls are great, but I arrived too late to try it out. Then, there was the sweets counter. Biscotti, cupcakes, salted caramels (you know I picked one of those up!). And, finally, there is all the packaged pasta and sauces. There is so much stuff here that it's pretty incredible. It's not like something in a major city, but it's a scaled down version of that, and something I'd love to see in any West Virginia city. Everything I had from that salted caramel to olives from the olive bar to some creamy tortellini was all spectacular. 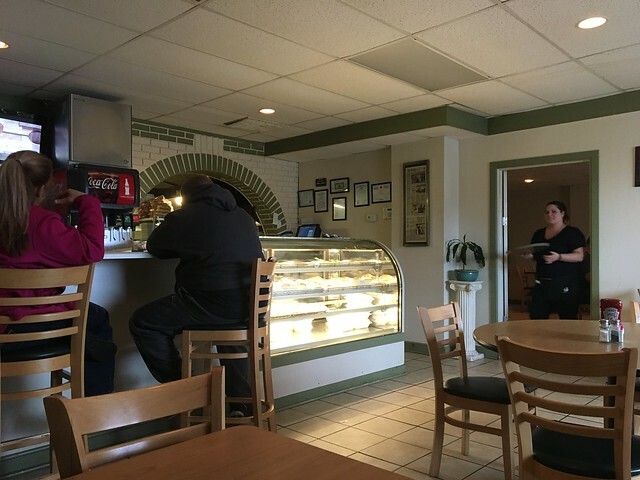 If you have a free moment, check out this place not too far from home for a taste of Italy. 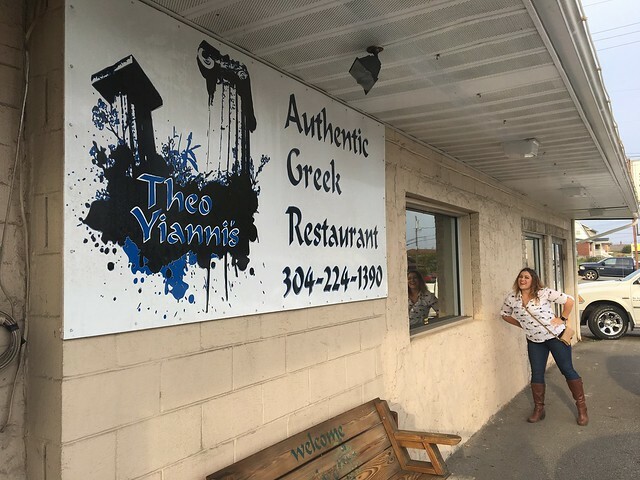 Theo Yianni's is a new-ish Greek restaurant in Weirton that has been receiving rave reviews since its opening. It broke ground about six years ago and has been a real force in revitalizing the community. And while you might be scratching your head thinking - "Greek? In Weirton?" It isn't all that surprising to me. There's the Greek festival in Weirton, hosted at the Greek Orthodox church. I know of a few Greek families, and there's a delicious Greek restaurant right across the river in Ohio. So, there's a framework in which to operate here. This restaurant is located on Pennsylvania Avenue in a building that I hadn't been to before. There's a bit of parking nearby, so no worries there. The restaurant itself is broken into a few different dining spaces; it looks as though they may have expanded into spaces in the adjoining areas. The interior is simple, but cozy at the same time. So, we picked a seat, and a friendly waitress approached us with menus. Grape leaves, spanakopita, tiropita (Greek cheese pie) and a Grecian roll (cucumber, tomato, feta, tzatziki and balsamic rolled into pita bread) all file under the appetizer section. 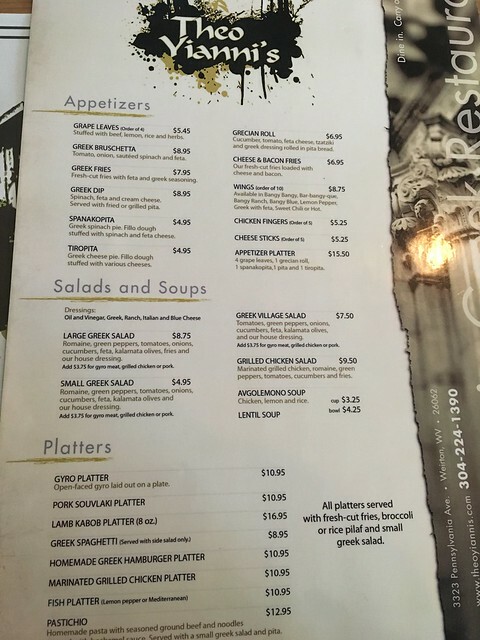 Greek salads and avgolemono soup (chicken, lemon and rice) are available for lighter fare. 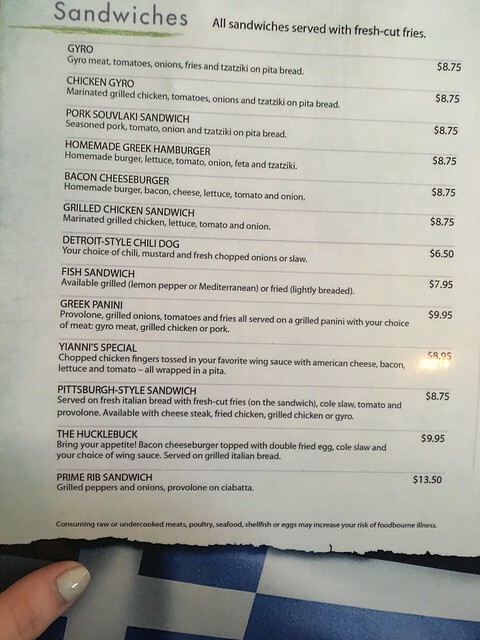 Sandwiches include a gyro, pork souvlaki, burgers, grilled chicken, panini, fish, chili dog, and a few Pittsburgh-esque sandwiches. Also, they have a few platters if you're going for the low-carb option. Well, my guess is they need a little bit of everything to appease everyone, so you can get some authentic dishes here and then burgers for the meat-and-potatoes guy. 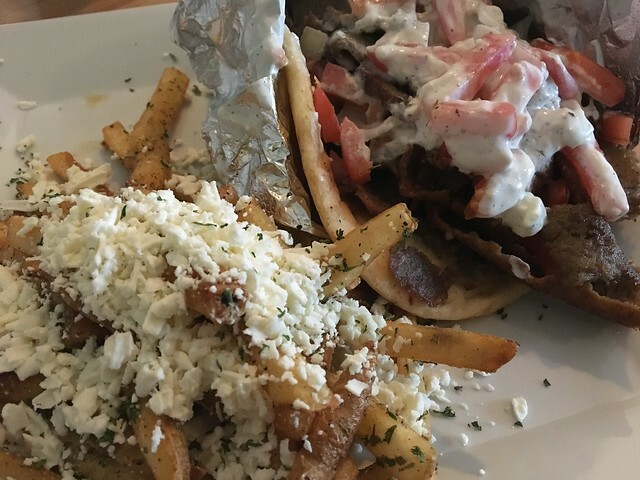 But, if you're wanting a true taste of Greek food in Weirton, get the gyro, which is a blend of lamb and beef, tomatoes, onions, and tzatziki on pita bread. I also upgraded my fries to the "Greek fries," which are fresh-cut fries with fresh feta and oregano. Wow, this is GOOD. Tender meat cooked on a spit, topped with these spears of tomato, and all drenched in tzatziki sauce - a really good one at that. Everything was fresh, perfectly proportioned and tasty. The salty meat, the slight sweetness of the onion, the creamy sauce, the sturdy pita to pull it all together. 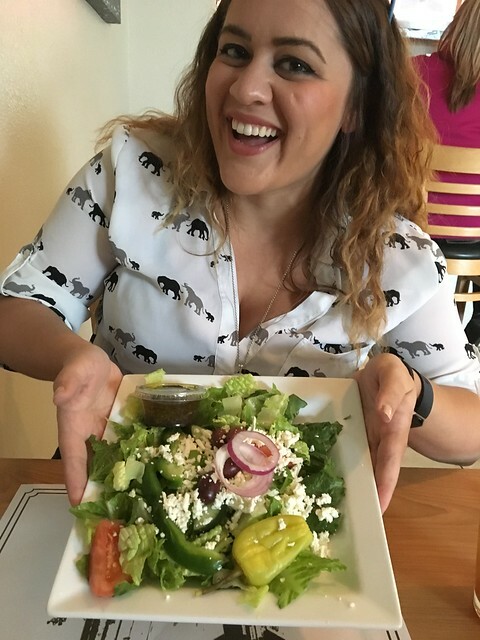 And the fries - just look at that mountain of fresh feta. Perfectly crisp with all the light cheese. Delish. And, then there is dessert. 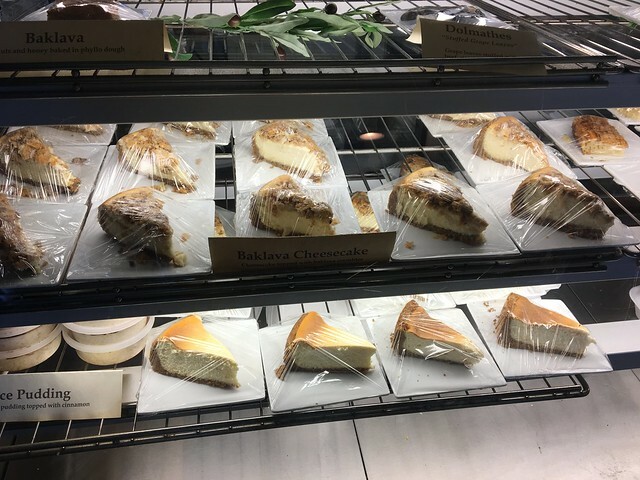 We walked by the dessert case to get to our table - baklava, baklava cheesecake (what?! 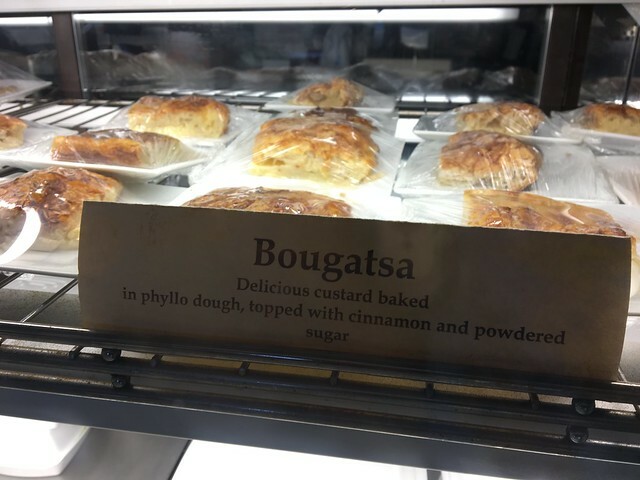 ), and one I had never heard of: bougatsa. 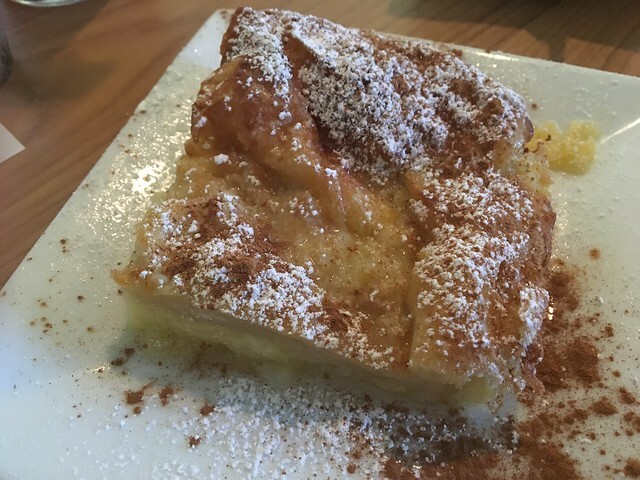 It's custard baked in phyllo dough topped with cinnamon and powdered sugar. 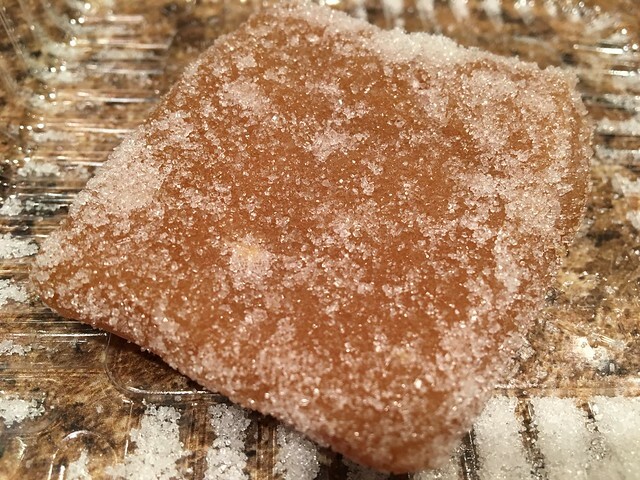 And, it's just as tasty as you'd think - light and delicate but sweet. Very good. 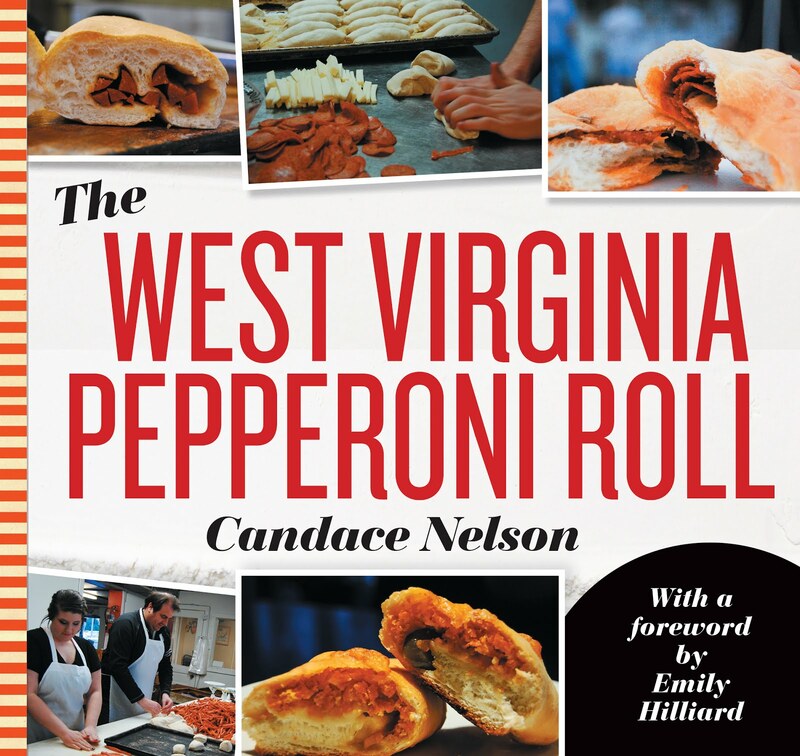 Check out the video from Eating West Virginia to get some history of the place. 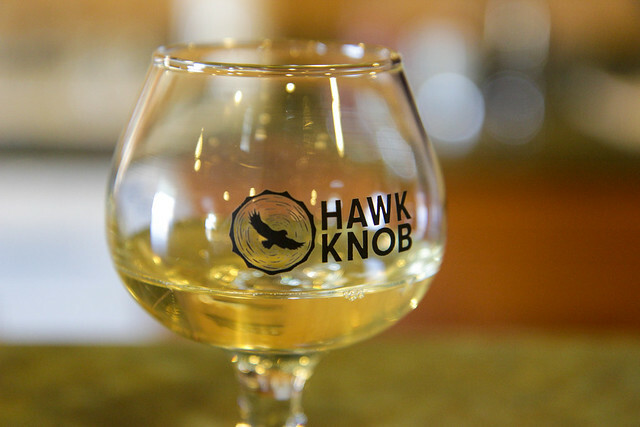 So, I wanted to learn a bit more about our state's first hard cidery, so I traveled to Lewisburg to meet with the owners of Hawk Knob Cidery and Meadery. And, I will have a column coming out in Sunday's paper about our history with hard cider and what these folks are up to, so be on the lookout for that. 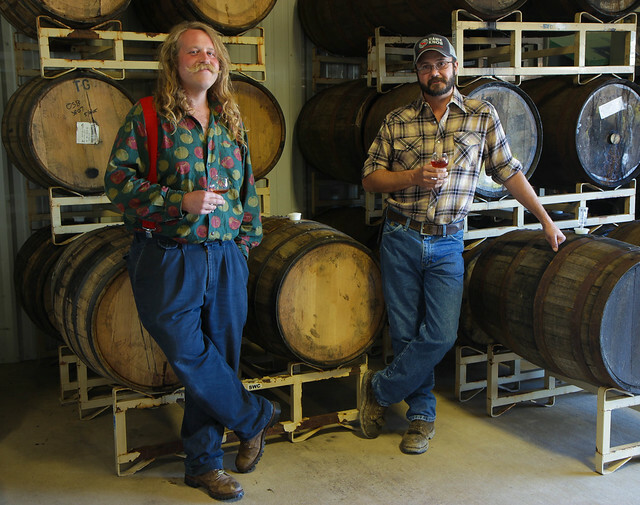 These folks have opened up the state's first hard cidery - something we're lagging a bit behind on in this state considering hard cider is the fastest growing segment of the alcohol industry. 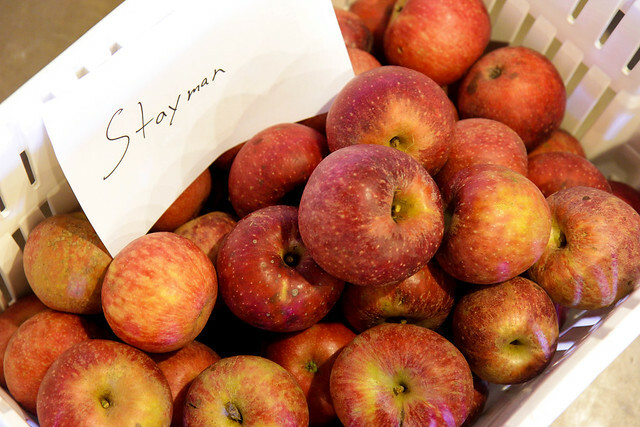 But Josh & Will are blazing that trail, and doing so in the most traditional, local way possible by sourcing local apples and working with local producers. So, I was fortunate in getting to talk with these guys, learn about their craft and get to sip it with them. Nothing better than that. 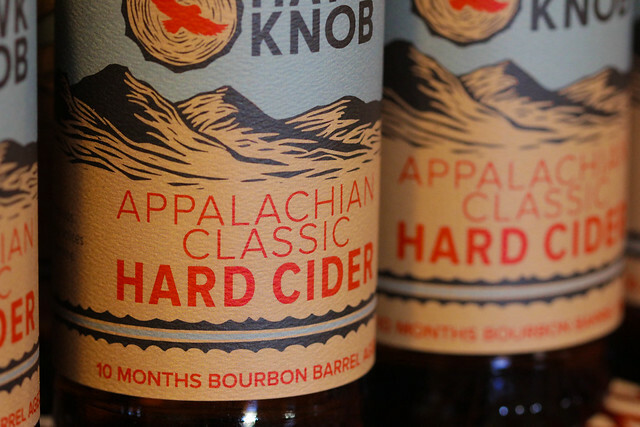 Appalachian Classic Hard Cider - The only one not aged in a bourbon barrel. This is green fruit-oriented, pretty crisp and light. Very refreshing. Lots of tart green apple flavors on this one. Appalachian Classic Bourbon Barrel Aged Hard Cider - This is the same cider as the previous one; just goes through the most extensive barrel aging procedure. It gets some bold bourbon characteristics and loses a lot of the tart green apple flavor and picks up a lot of the butter notes from the barrel. It's almost like a chardonnay-like butteriness with some dark cherry on the finish. 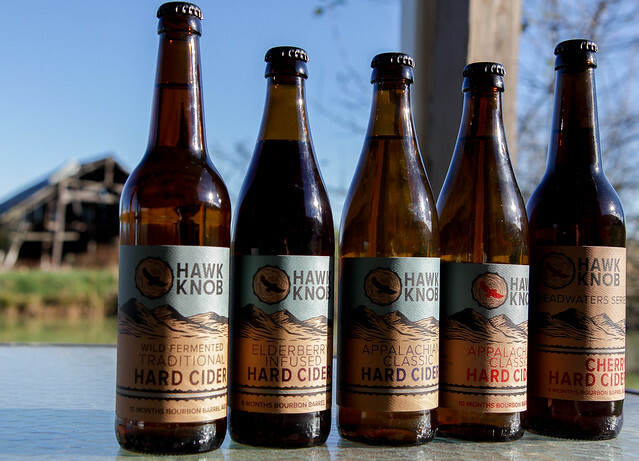 Wild Fermented Traditional Hard Cider - This is made the traditional way of making cider back in the 1700s. 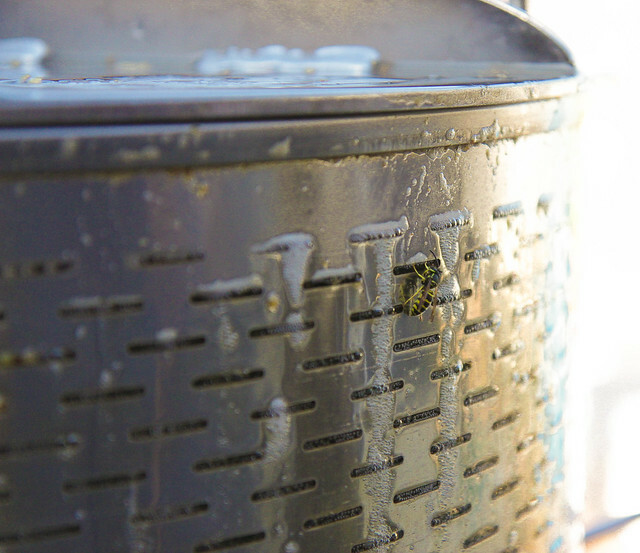 It uses wild fermentation, as well as red wine and champagne yeast. But, they do a barrel fermentation where the wild yeast on the skin of the apple does the work. It's a really round, smooth flavored cider with some butter flavors and bold flavors from the wild yeast. A little dark cherry on the finish with some vanilla and hints o bourbon. Elderberry Infused Hard Cider - This blends two Appalachian traditions - cider and elderberries. Elderberries are steeped in the cider, which gives it a lot of color, aromatics and some red fruit flavor. The berry flavor is pretty subtle, but is pretty complex. 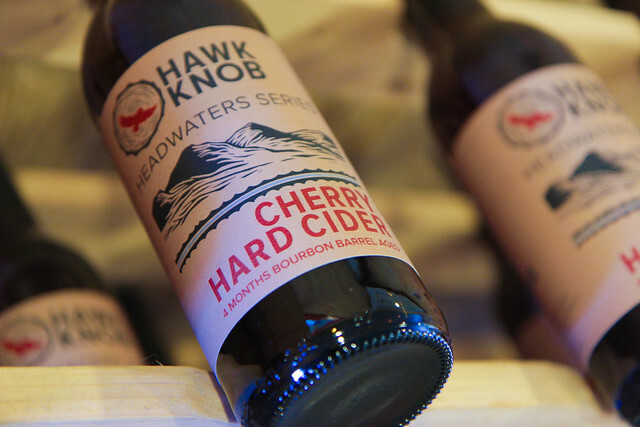 Cherry Hard Cider - This is the newest addition and the first under the Headwater Series, where they plan to release small-batch ciders. 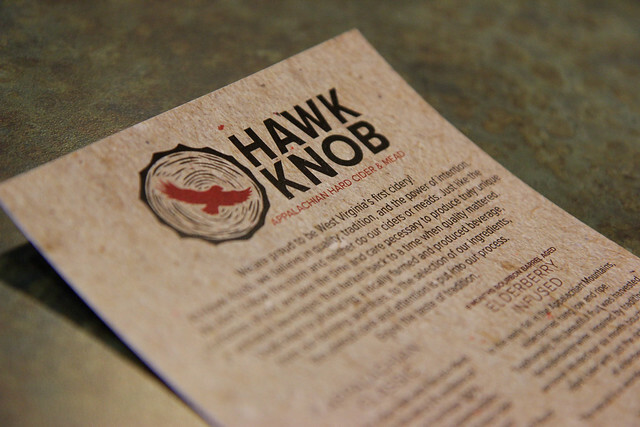 It has a light bourbon and oak flavor, and that tart cherry is present and pretty fruity, tart finish. It's still dry and packs a punch at 12% alcohol. The ciders are dry enough to pair well with fatty meals to cut through all of that. If you're used to Woodchuck or Angry Orchard, this is totally different. It's dry and not full of additional sweeteners or sulfites. It's natural and delicious. They will also be coming out with their mead any time now. They have one currently aging for two years -- and hope to have ones that will age even longer in the future -- that is a cyser. Pretty excited to get a taste of that when it's ready! Have you been? Which cider is your favorite?